I feel like I haven't posted about Martha Grace's progress in ages, I don't think I can blame the summer holidays as I've only ever blogged when the kids have gone to bed. Those of you who follow us on Facebook and Instagram will see regular pictures as she grows and of the new things she's learnt, but there hasn't been anything groundbreaking happen that I felt the need to blog about it. Then we received a letter in the post last week that I thought I'd share with you. 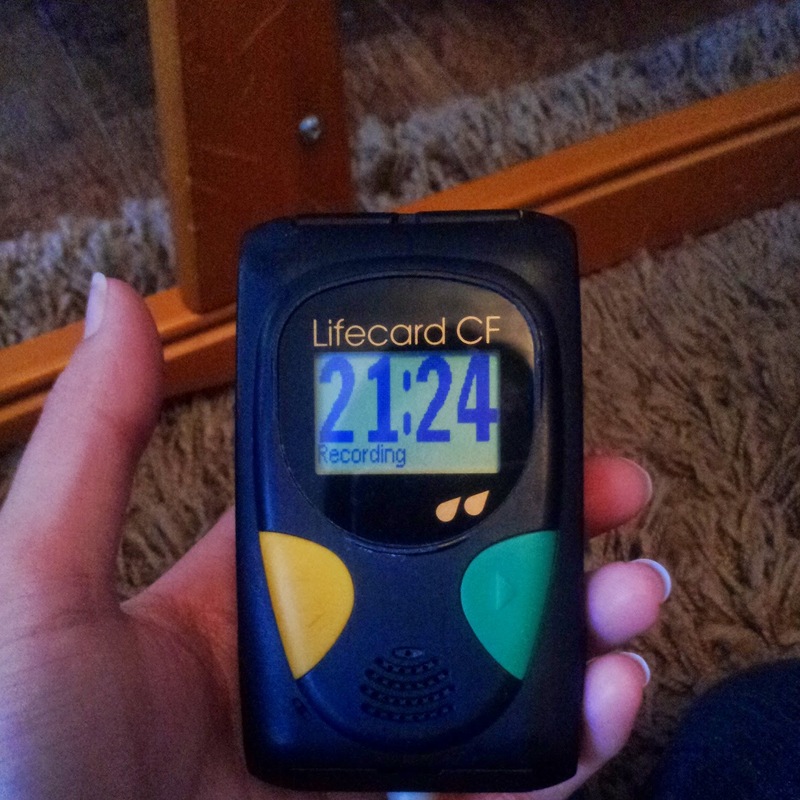 I'm not sure if you remember but when we came home from London after Martha's Cardiac Review at the beginning of June - we had a little device called a Holter with us (pictured above). This gadget recorded Martha's ECG (Electrocardiogram) and detects any abnormal Heart Rhythms. Martha Grace has been prescribed Amiodarone Hydrochloride since she went into Atrial Fibrillation back in November and is used to slow the patients heart rate in the hope it stops them becoming tachycardic. But Amiodarone isn't an ideal long term drug, Adult users report many unpleasant side effects and it is only used where the benefits outweigh the risks. So we had to keep the Holter recording for a straight 24hrs and then send it back by recorded post to GOSH where they would review the tapes and look for any abnormal heart rhythms. The results would determine whether or not Martha could stop taking Amiodarone. I do need to point out though that her dose has been decreasing as she gained weight and grew - the 22mg would become less relative to her size. We now have the results of Martha's recent 24-hour tape which was organised after the routine clinic appointment. I am pleased to report that she was in sinus rhythm with left ventricular pacing throughout. So I am pleased to report that she was in either a sinus rhythm or atrially paced throughout. She is 100% V-paced from the last pacing check. Reassuringly there is no evidence of atrial tachycardia." This is a huge relief for us; it was during a 24hr Holter we found my brother's heart rate shot up to 250bpm while he was asleep! He has was then fitted with an Internal Cardioverter Defibrillator as a result. We still have our Health Visitor over to weigh Martha every couple of weeks, she is 6.87Kg at the moment which means she is finally over the 15lbs mark - almost weighs a stone! But she is a solid little girl, her thighs are getting chunky; I thought she would be a dainty doll of a toddler but I am beginning to doubt that now. I hope you're all enjoying the summer holidays so far. I know I am - I can't tell you how amazing it is that this summer we have the little girl we were so worried about this time last year!!! 4th August 2013 was my last day in work before my maternity leave - you can read that post here! Remember to leave your email address below to have our posts delivered straight to your inbox!! !